Our Cashmere site sits close to downtown Cashmere (on the corner of Vine & Elberta St.) and is housed inside of Grace Lutheran Church. We offer an AM Head Start class at this location. Our Mustard Seed site sits at the end of a quiet neighborhood street and is less than a mile away from our main administration building. We offer one full day Early Head Start classroom & one full day Head Start classroom at this location. Our Peshastin site is located near the Wenatchee River on Mill Road. 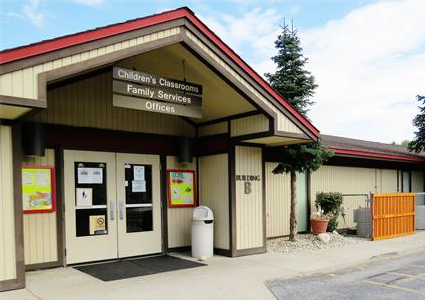 We offer one Head Start AM class and three childcare classrooms at this site. Our Sunset Ridge facility sits in East Wenatchee in an affordable housing unit operated by Community Action. We offer one AM and one PM Head Start class at this location. Our Wenatchee building sits in a quiet residential neighborhood. This site is our main administration building. It houses eight classrooms that offer different Head Start, Early Head Start and ECEAP classroom models. We also house the Early Head Start - Home Base model of services at this location.